Months of excitement and planning ended this afternoon after I saw the news in Kuensel. The online question bank that my ministry is planning to come up later this year was my dream project since last year. I have set up a blog last winter to inspire myself, discussed the idea with my friend at Bhutan Web Hosting Solution for a very dynamic website, and consulted my uncle for sources of fund. Coining the web address itself took me days. 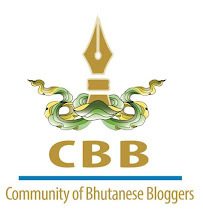 Every address I tried seemed to be booked and finally I landed up with bhutanquestionbank. I sketched a rough logo and sent it out to Phuba Namgay, a Bhutanese painter abroad, for giving it a professional touch. He agreed to do it for me after he is done with his wife Linda’s book promotion. I sat down with my jobless brother, who is expected to work fulltime on the site after it is launched, and drew the blueprint. I encouraged him to work on it, so that his three years of computer studies comes to some work. My wife looked at my proposal and found it so promising that she agreed to help me through. I have everything ready except the fund it will require, which of course it planned out as well. But now with the dream shattered, I have nothing to worry about except my brother’s job. I am surprise my ministry is going to pump in Nu.700,000 for the site alone and then additional fund for training, whatever that means. I only wish if they could offer me the project, because I have the passion. Passion to move on without having to push. Hope the ePortal won’t go to sleep after a while like most other websites, without me! Don't give up. This dream may not work, but there are other websites and other ideas and other dreams. You have to follow your passion. Never give up. Hey PaSsu - I second Linda here, don't give up - who knows maybe yours will turn out far better than whatever they are trying to do. Don't worry man, move on. I am surprised I heard nothing on this from you! What is this project you are talking about? This On Line Question Bank? Never heard of it. Care to give us a broad outline of its purpose and usefulness? @Linda, thanks. I will see if MoE can give me the project. Tell Phuba to complete the logo for me. @Penstar, I told you once about this when you were talking about your students Magazine idea. But of late i realized you won't be interested in this idea because it's only to do with students... Thanks for asking! Yeshey, you must have read the news on Kuensel, (follow the link on my post otherwise). Well, it's almost the same, only mine is broader...(top secret for now). I will share about it later when I feel comfortable...lol. Sogyal, I don't have the little amount of money I need to start the website yet, not even to register the domain name. They already have Nu.700000 and many potential sponsors. Who will sponsor me after knowing MoE has the same project? Anyway, I am still waiting for the MoE to see this and talk to me over the matter. You are still waiting for the MoE to talk to you? Hmmmm .... reminds me of that joke of a man waiting with his mouth wide open for the apple to fall into his mouth. Have you considered the merit of climbing up that tree to pluck the apple for you to be able to eat it? Be an entrepreneur and not a shopkeeper. Thank you Yeshey, you have always been someone whom I could rely on, your words often ring the bell. I want to be an entrepreneur for sure! Sogyal, Online question bank will need lots of features and flexibility, which is why a powerful website is require rather than blog.